The Personalised Bridesmaid Bag is a wonderful gift for bridesmaids. Available in natural cotton canvas with black details, this bag is a stylish choice. 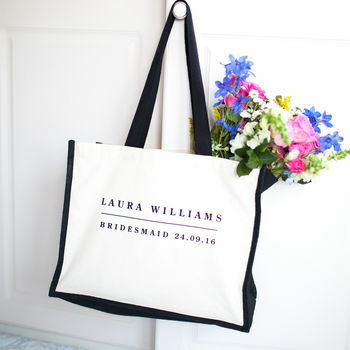 This Personalised Bridesmaid Bag makes a perfect gift and gorgeous keepsake for your bridesmaids, personalised with their name and your wedding date. It’s both fashionable and useful - perfect for keeping things organised in the run up to your wedding. Your bridesmaids can use it to store their bridesmaid shoes, accessories, files and notebooks and it makes a great overnight bag for their hotel stay before and after your wedding. It can even double up as a hen weekend bag! The Personalised Bridesmaid Bag can also be used after your wedding for holidays,the beach, the gym and shopping. 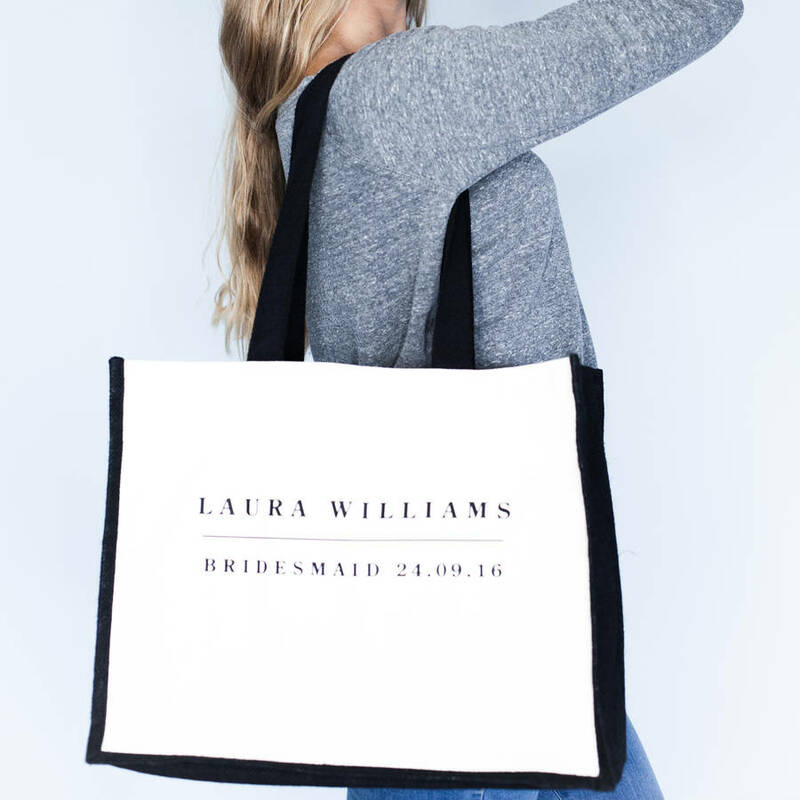 Our Personalised Bridesmaid Bag is available in natural cotton canvas with black sides, base, handles and print. 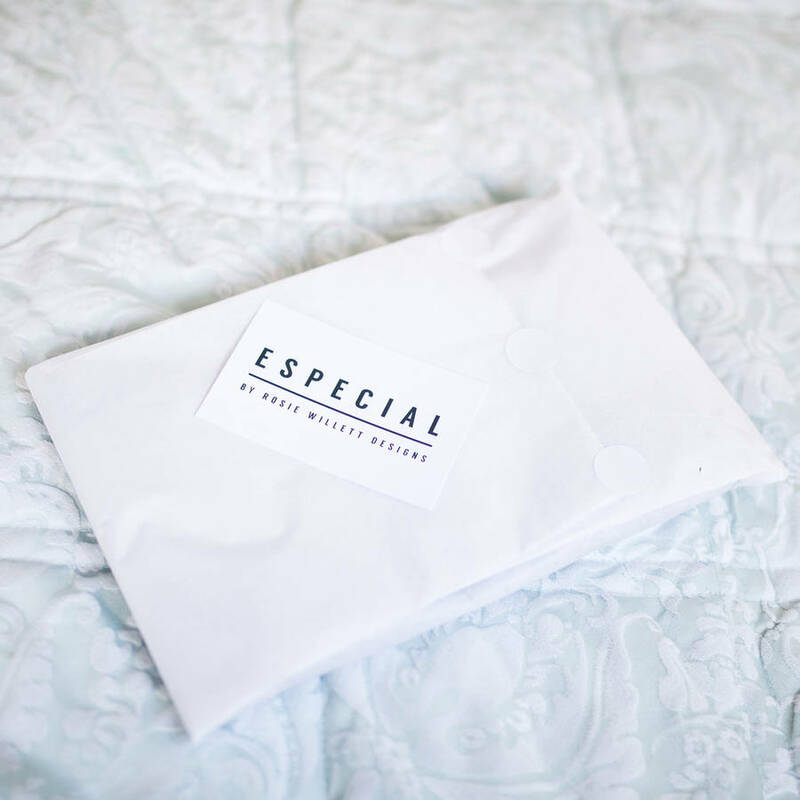 All of our bags are individually hand printed so we can accommodate special requests. For example, you may wish to change ‘Bridesmaid’ to ‘Maid Of Honour’ for your chief bridesmaid. The print is available in a wide range of colours. Please contact us via the 'ask seller a question' tab to discuss any bespoke requirements that you may have. Our Personalised Bridesmaid Bag is made from 100% natural cotton canvas with black cotton handles and black jute side panels and base. Strong, long lasting and sustainable, this eco-friendly fabric is perfect for your 'Bag for Life'. Jute fabric is very resistant to dirt and should not be washed. The cotton canvas can be cleaned by hand with a cloth if necessary. Do not bleach, tumble dry, iron or dry clean. This product is dispatched to you by Rosie Willett Designs.